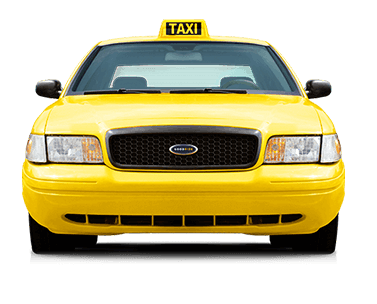 Get riders on board and drivers behind the wheel to accelerate your taxi business. We Bring-in the power of technology to connect your cabs to millions of local travelers. We offer customizable Uber clone framework that comprises similar services that Uber offers. Uber is globally renowned on-demand taxi booking application that let you book a cab of your choice from any location. We are offering white-labeled best Uber clone application that represents your brand name, logo, language and much more. Following your unique requirements, we will equip you with a white-labeled Uber clone application that is technologically innovative for your business and advanced for your riders. 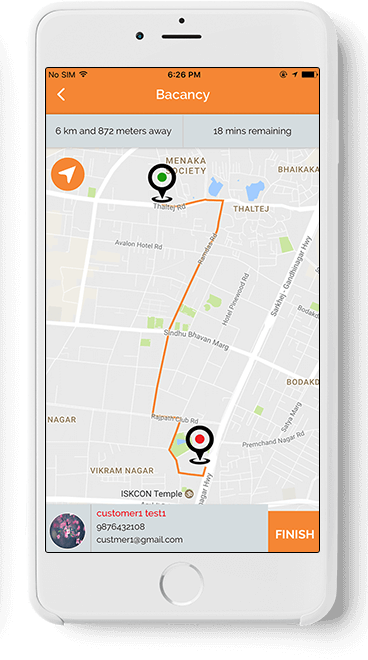 supported by high precision gps tracking to search for available drivers nearby you. Car that fit your specific needs. Choose a car based on numbers of riders, cost and purpose. Set your pickup date, time, location, destination, ride type, and get a fare estimate. Confirm your pickup and drop-off location to book the ride. Edit or cancel any time before your ride before it matched with nearby driver. When you’re matched with a driver, you’ll see their name, vehicle license number, photo, and rating—so you get assured about who’s picking you up ahead of time. 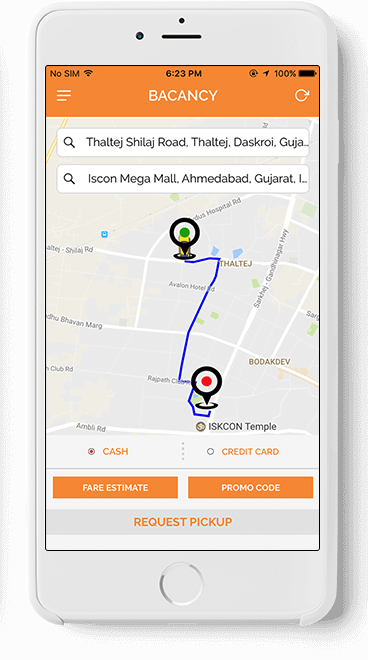 Rider can apply promotion code and get personal discount. Pay for your ride with cash or the credit/debit card you have. Choose how to pay, because the choice is yours. 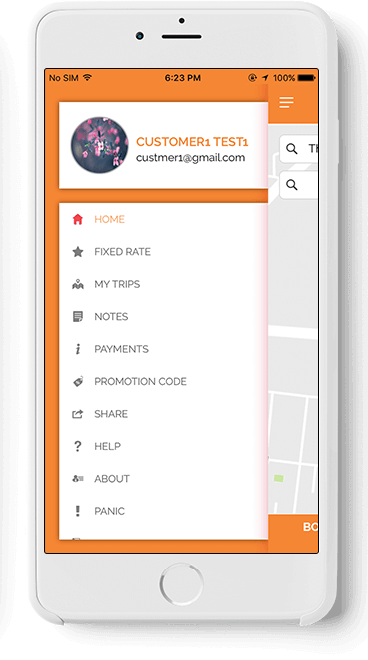 If the rider has any issue, then the rider can add notes straight from the app and notify to Admin. Admin will reply to that note. 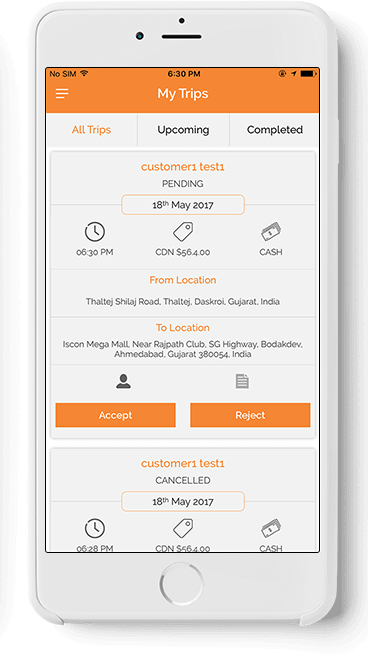 Drivers get the platform to register directly from their mobile app. For obvious reasons, the driver has complete freedom to sign on/off any time. 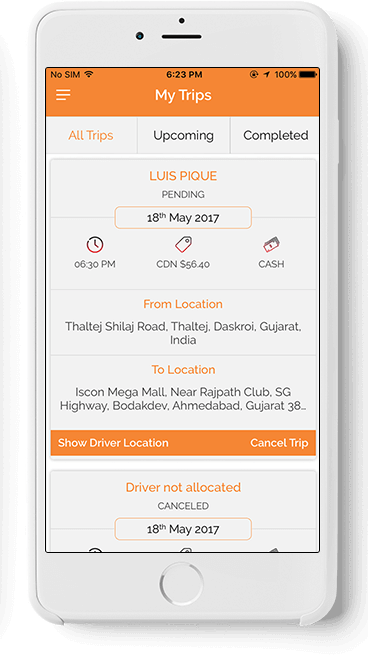 The driver is allowed to update the passenger, when he accept or reject the trip, reach at the pickup point and drop-off the passenger. The driver has been given 15 seconds of time to accept or reject new booking requests. They are shown the pickup point from current location as well as the travel distance. On accepting trip, app will help the driver to navigate thecustomer’s location as well as destination. 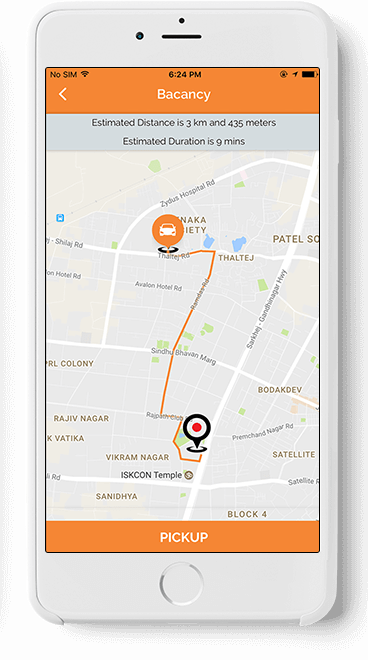 Driver has two options, whether drivercan use our app for tracking or driver will be redirected to Google Map. 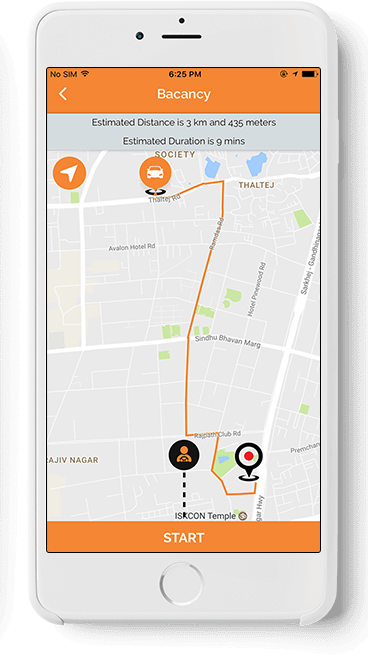 When driver is waiting at rider’s location, he can buzz to the rideror can send waiting notification. The driver has full access to track the booking history and check the status of each trip includingcancelled trips. It’s a feedback section that let the riders compliment drivers with a personalized thank you note. Quick summary & statistics of the total number of completed rides along with earnings. Riders are sent a unique one-time password via sms to complete the two-factor authentication process. 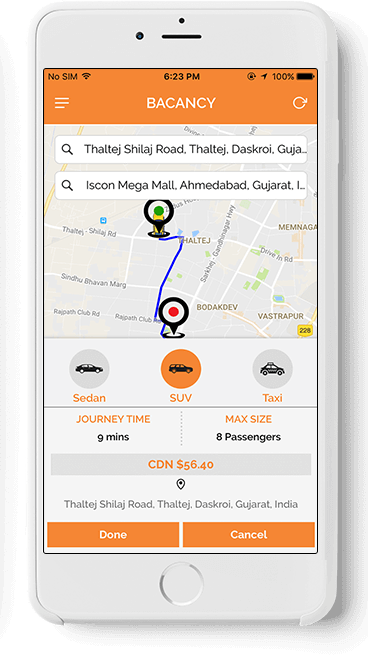 For both drivers and riders – reviews, ratings and history of all the rides and relevant details can be managed under this panel. A complete history of all the rides along with the name of drivers and riders. Access to extract account report about the total earnings at a glance. Admin has rights to manage different fares for different cities. Can add/edit new vehicle categories straight from the app. 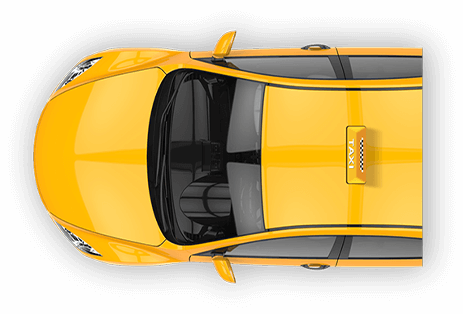 Manage color, model & keep tracking of vehicles. Ability to set/change SMTP mail settings, manage site settings, SM templates, payment gateways and social networking site. Admin can add or eliminate a city, where they are launching or discontinuing their services from a specific city. For single application programming interface, (weather its iOS or Android ) it will cost you $3000 USD and for both platform it will cost you $4000 USD. 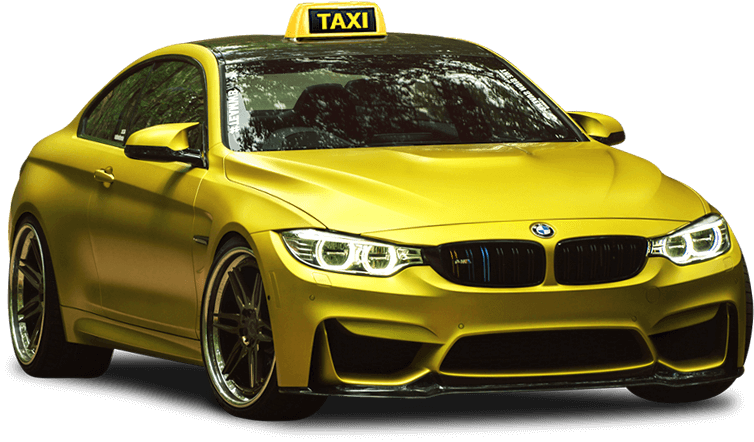 Uber like Taxi app clone script comes with an iOS and Android app for your customers & Drivers. We also provide a powerful admin dashboard so you can control pretty much everything. Being an ubernized, I declare Uber as the best product of the decade. Uber has not only revolutionized the taxi industry, but it has enabled millions of people across the world to give up owning a car and make over a hundred bucks an hour. Uber’s significant rising impact, goes hand in hand with some of the fastest growth in the startup history Did you know that Uber holds 84% to 87% of the US hailing market? How Much Does it cost to develop a Taxi booking app like Uber?